Of course, nutrition has an invaluable impact on our pets’ lives, as it does with our own. 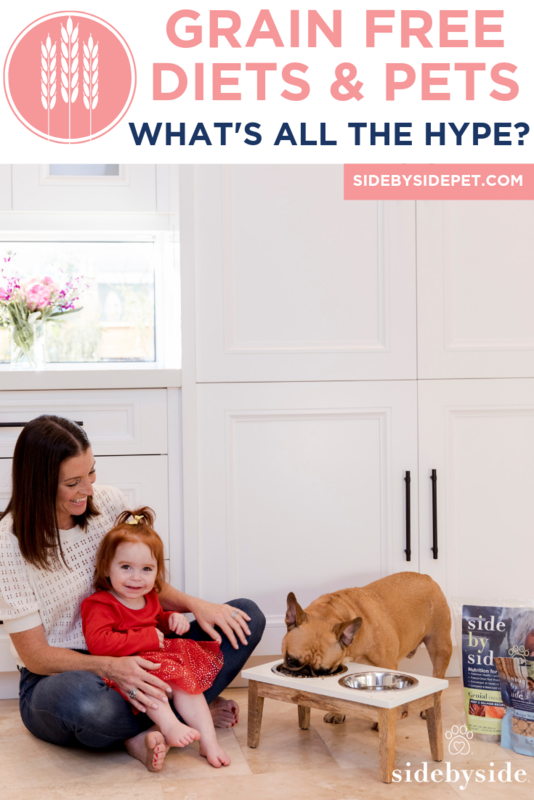 Because we do want what’s best for our fur babies, it’s becoming increasingly trendy to feed our pets what we eat, since what is healthy for us must be healthy for them, right? Well, not necessarily… “Grain free” and “gluten free” are two of the biggest food trends right now. Many upscale pet foods boast containing more meat and fewer (or no) grains, getting back to how our pets’ ancestors ate. But today, I want to break down the ideas behind grain-free pet food, and let you know a veterinarian’s take on these fad diets. What does “grain-free pet food” mean? Grains are any small, hard seeds, especially the seeds of a food plant such as wheat, corn, rye, oat, rice, or millet. A grain-free pet food is void of any grains. Many people believe that grains in their pets’ food are simply filler and that eliminating grains from the food will leave their pets with a healthier, more natural diet. Why is there a trend to feed pets grain-free diets? As with their own overall health and wellness, pet parents are now more aware of the importance and impact nutrition plays in our pets’ overall well being. And that’s a GREAT thing! We are our pets’ only advocates, and ensuring they are fed the best diet will certainly help them live long, healthy, and happy lives! Home-cooked, whole nutrition meals are popular for our pets now more than ever before. All organic diets with no artificial additives and preservatives are becoming increasingly more important when choosing the diets pet parents are feeding their pets. And these types of diets can definitely be healthy and fulfilling for our pets! However, many pet parents have come to believe that what is healthy for us as humans is also healthy for our pets. While pets have adapted to eating human food-based diets through hundreds and even thousands of years of living with humans, we should not necessarily make the same nutritional choices for our pets that we make for ourselves. Are these diets the best choice for your dog or cat? Some proponents of the grain-free pet food diets claim that grains are an unnatural source of nutrition for pets and feel that dogs’ ancestors did not digest grains in the wild. While that may be true, dogs and cats in the wild (in the past or even today) are NOT particularly healthy. They do not live as long as our pet family members do, and that is partially due to the foods we have formulated especially for them. Pet foods are formulated with our pets’ activity levels, weight, heart health, and overall wellbeing in mind. While our pets’ ancestors may not have eaten grains, dogs have evolved over the years to digest different types of nutrition, including grain. There are several genes in pets that have been modified over the years to allow them to digest grains and gluten. So, in terms of metabolism, it is not necessary to feed your pets grain-free pet food. Some proponents of grain-free pet food diets choose this form of nutrition for their pets because they believe their pets are allergic or intolerant to grains. Grain-free and gluten free diets for pets are becoming increasingly popular. 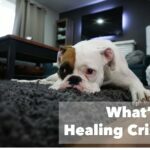 While these diets are particularly helpful with PEOPLE suffering with celiac disease, gluten intolerances, or allergies to wheat, most dogs and cats do NOT suffer from these same ailments. How do you know if your pet needs a grain-free or gluten free food? While food allergies are common in pets, grains are not the most common allergen found in pet food. In fact, protein (beef and chicken being the most common), as well as diary, are the most common causes of food allergies in pets. There are some cases of corn allergies, however, those are uncommon. Speak with your veterinarian if you believe your pet has a grain allergy. Your veterinarian will perform a thorough physical examination and assess if a grain-free pet food diet is appropriate. A food trial with a grain-free pet food may be necessary to determine whether the food is beneficial for your dog. 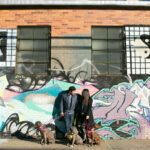 What is the latest news linking grain-free pet food diets to heart disease in dogs? Over the past 2 years, there has been an increase in dogs being diagnosed with a heart condition called Dilated Cardiomyopathy (DCM). DCM is a condition in which the heart’s main pumping chamber, the left ventricle, is enlarged and weakened, and its ability to pump blood is decreased. Over time, it can affect the other heart chambers. Veterinarians and Veterinary Cardiologists believe there may be a link between “BEG” diets (boutique companies, exotic ingredients, or grain-free diets) and DCM. Recently, the US FDA alerted pet owners and veterinarians about reports of DCM in dogs eating pet foods containing peas, lentils, other legume seeds, or potatoes as main ingredients. These ingredients are used to replace the grains in grain-free pet food diets. Although the studies are unconfirmed and in the early stages, there is a possibility that these BEG diets are low in taurine, an amino acid important in the metabolism of fats. Low blood taurine levels are a confirmed factor in causing DCM in pets. The full extent of these findings is not yet clear, and not all cases of dogs diagnosed with DCM are linked to diet. The studies are in the early stages and nothing has been confirmed with a link between BEG diets, low taurine levels, and DCM in pets. Other factors with BEG diets, such as deficiencies in other nutrients, or even a toxicity may also be contributing factors to the diagnosis of DCM. The condition with nutrition and links to DCM are complex, and we are in the rudimentary stages of confirmed answers. 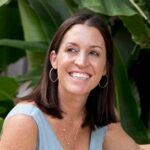 What is my perspective, as a veterinarian? As a small animal veterinarian, I encourage my pet parents to follow AAFCO approved diets, ensuring the diets they feed their pets are balanced and safe. I do recommend a grain-free pet food diet for pets with allergies. Pets should be thoroughly examined and assessed by a board certified veterinarian or veterinary nutritionist and prescribed a grain-free diet when deemed medically necessary. With the increasing knowledge and awareness of nutrition and its impact on our overall health, it is only natural that we want to feed our pets the healthiest and best foods, too. The pet food market is growing rapidly, and higher quality foods are becoming more readily available for our pets. It is more convenient and easier than ever to ensure your pet is getting the best nutrition. I love that pet parents are becoming more actively involved in the health and wellness of their pets, and nothing is more important than nutrition. Our pets rely on us to make the right choices for them. Providing them with high quality, whole natural ingredients is one of the most important choices we can make for them. That is one of the many reasons I am honored to partner with Side by Side Pet to provide the healthiest, longest life possible for our pets. Your pets will thank you for providing them with a nutritious AND delicious diet with many years of unfaltering devotion, love, and health. 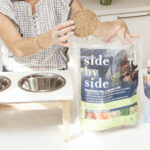 At Side by Side, we craft healthy recipes in small batches, carefully preserving the whole food nutrition and delivering it fresh to your dog’s bowl. Our starter packs are a great way to get a taste of everything that we have to offer! That’s your dog trying to tell you something! Take the pet assessment to learn more. © 2019 Side by Side. Sign up & save $3 on your next order! Plus you’ll get exclusive pupdates, wag worthy promos & barktastic tips!